Charges against an off-duty Texas police officer who allegedly shot a man in his apartment could be changed from manslaughter to murder when the case is presented to a grand jury, a prosecutor said Monday, as the victim's mother demanded answers and implored "all the powers that be" to seek justice for her son. Interested in Dallas Apartment Shooting? Add Dallas Apartment Shooting as an interest to stay up to date on the latest Dallas Apartment Shooting news, video, and analysis from ABC News. 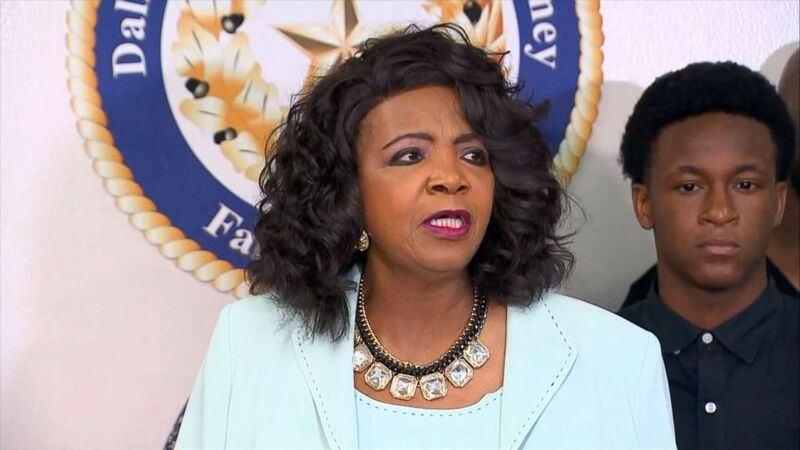 Dallas County District Attorney Faith Johnson said her office plans to present a "thorough" case to a grand jury in the coming days. 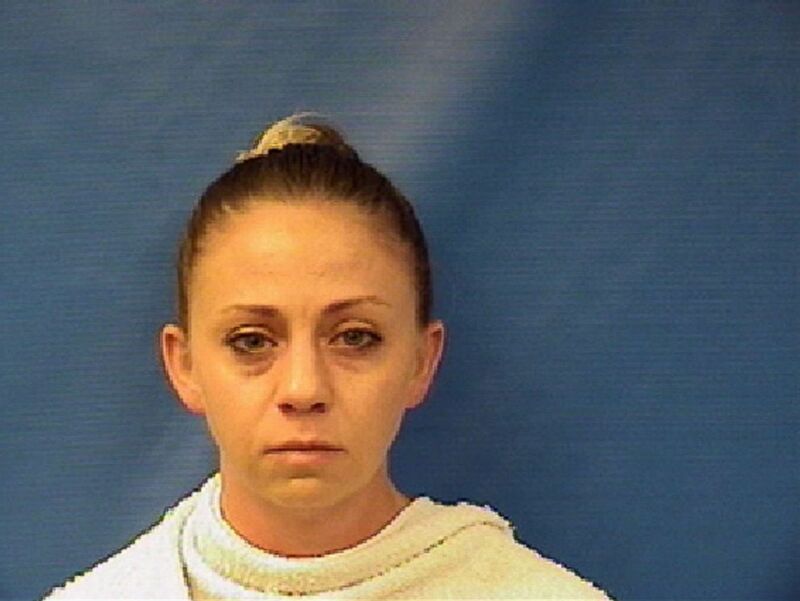 A murder charge against Officer Amber Guyger has not been taken off the table, she noted. The Texas Rangers, a law enforcement agency assigned to conduct an independent investigation of the case, obtained an arrest warrant against Guyger, 30, on Sunday on suspicion of manslaughter. 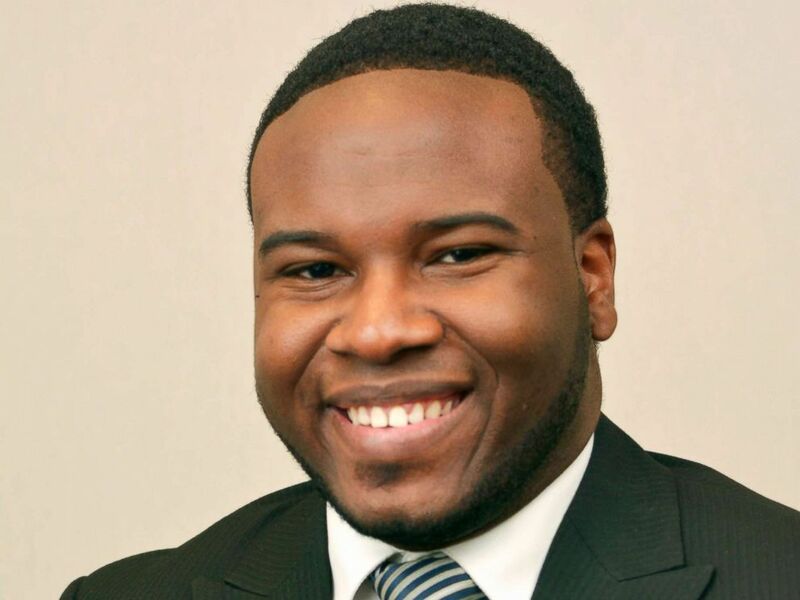 Guyger allegedly shot 26-year-old Botham Jean last week in his apartment when she mistakenly walked in, believing it was her residence, according to officials. Johnson said the final charges against Guyer have not been determined. "The Texas Rangers made the decision to issue an arrest warrant for manslaughter," Johnson said, adding that a grand jury will make the ultimate decision on charges against Guyger. "Believe me, we will make certain that justice is done in this case," she said. Botham Jean is seen Feb. 27, 2014. 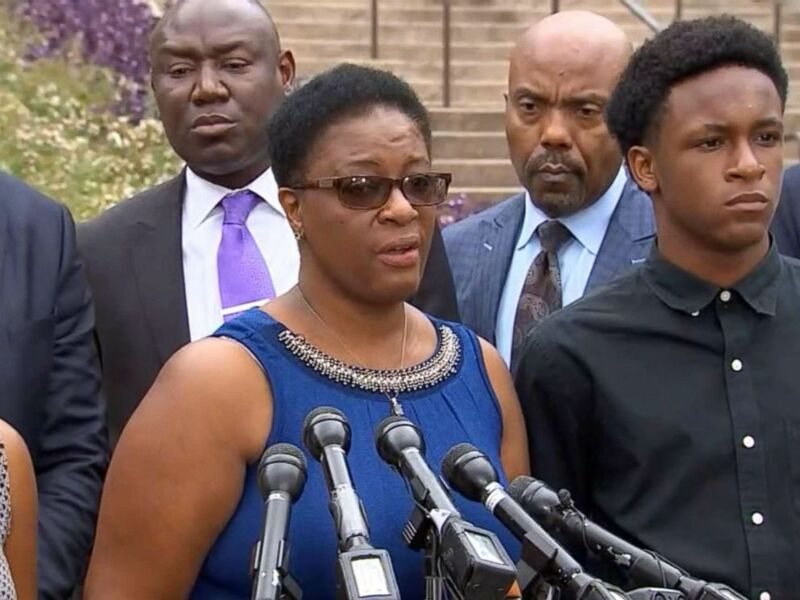 Lee Merritt, the lawyer for Jean's family, told ABC News late Monday that the evidence they've collected, some of which refutes an arrest affidavit released by police Monday, supports a murder charge. "Even if we accept this narrative, this affidavit, as the true narrative then we have to evaluate what she alleges she did with what the law says is the proper use of deadly force and we don’t find that here," Merritt said. "And on its own terms it’s murder." Johnson said no timetable has been set on when the case will be presented to the grand jury. "I have full confidence in my investigators, my staff, that we will get to the bottom of everything and we will present not only the evidence that we already have, but we will have ... even more evidence that we will be presenting to the grand jury," she said. Following Johnson's press conference, Jean's mother, Allison Jean, said she still doesn't understand how her son was shot to death in his own home by a police officer in uniform. "I'm not satisfied that we have all the answers," she said outside the Dallas County District Attorney's Office. "And the No. 1 answer that I want is what happened. I have asked too many questions and I've been told that there are no answers yet." Amber Renee Guyer appears in this mugshot provided by the Kaufman County Jail. As she spoke, she stood between her daughter, Allisa Charles Findley, and youngest son, Brandt Jean. "I'm looking forward to all of the powers that be to come up with the answers to make me more satisfied that they are doing what is in the best interest of getting justice for Botham," she said. Guyger was arrested Sunday evening when she surrendered to police in neighboring Kaufman County. She's since been released on $300,000 bail. She was still wearing her uniform after working a full shift when she arrived at the South Side Flats apartment complex where she lives in Dallas around 10 p.m. Thursday, according to an arrest warrant made public Monday. 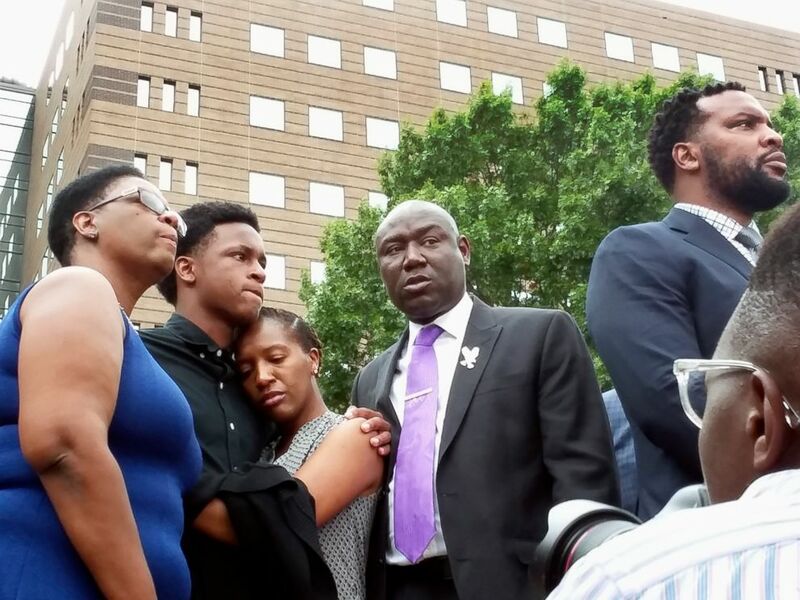 Allison Jean stands between her children, Allisa Charles-Findley and Brandt Jean, as she speaks at a press conference about her son who was killed by a police officer in Dallas on Monday, Sept. 10, 2018. Guyger said she parked her car on the fourth floor of the building instead of the third floor which corresponded to her apartment, which is directly beneath Jean's fourth-floor unit, according to the warrant. "Guyger entered the building and walked down the fourth-floor hallway to what she thought was her apartment," according to the warrant. "She inserted a unique door key, with an electronic chip, into the door keyhole. The door, which was slightly ajar prior to Guyger's arrival, fully opened under the force of the key insertion." When the door opened she saw a "large silhouette" in the nearly completely dark apartment and believed it was a burglar, according to the warrant. Guyger, while still in uniform, no longer had her bodycam, which had been left at the station, per police protocol. "Guyger drew her firearm, gave verbal commands that were ignored by ... Jean. Guyger fired her handgun two times striking [Jean] in the torso," the warrant states. "Guyger entered the apartment, immediately called 911. Upon being asked where she was located by emergency dispatchers, Guyger returned to the front door to observe the address and discovered she was at the wrong apartment." Jean was taken by ambulance to Baylor Hospital, where he died. Merritt said they do not agree with the information presented in the warrant. Johnson would not disclose details of what more her office has learned of the encounter, saying the investigation into Jean's death is continuing and that she doesn't want to do anything to compromise the probe. Dallas County District Attorney Faith Johnson speaks at a press conference in Dallas on Monday, Sept. 10, 2018 about a fatal shooting in which a Dallas police officer shot and killed Botham Jean after mistaking his apartment for her residence. Merrit said the evidence so far shows that Guyger was not only at the wrong door of the apartment complex, she was on the wrong floor and standing on a large red doormat before she entered Botham Jean's apartment. "If the prevailing narrative is true, and again it's clouded in a shroud of mystery, and she entered the wrong home and found a stranger there, why was she so quick to rely on deadly force is a great mystery for us," Merrit said. "When Officer Guyger entered this apartment, she entered in her uniform. She was operating under the color of state authority. She used her service pistol to kill Botham Jean. She used her training and we would expect our law enforcement officers in the city of Dallas to be able to diffuse a situation, to gather facts," he added. "We want to know what went wrong in her training, what went wrong before she clocked out that had her so disoriented ... that she couldn't make her home from another person's home." Johnson said Guyger took a blood-alcohol test but the results have not come back. Guyger, who has served on the police force for the last four years, shot a suspect in May 2017 after a struggle in which police say the man reached for an officer's Taser. Guyger was one of multiple officers who approached a wanted person on the morning of May 12, 2017, identified by police as Uvaldo Perez, which triggered a fight, and eventually the shooting. Guyger fired only one round, striking and wounding the suspect, according to a report on the Dallas Police Department's website. He was treated at an area hospital and survived. 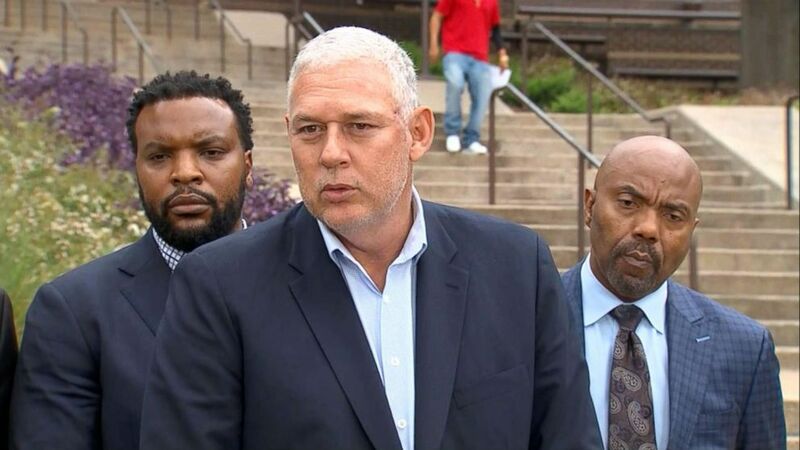 Saint Lucia Prime Minister Allen Chastanet speaks at a press conference in Dallas on Monday, Sept. 10, 2018, about Botham Jean, who was allegedly shot to death by a Dallas police officer who mistook his apartment for her residence. Jean, whose funeral is scheduled for Thursday, was a beloved member of a local church and an employee at the prestigious accounting and consulting firm PricewaterhouseCoopers in Dallas. Allen Chastanet, the prime minister of Saint Lucia, attended both press conferences. He said he has known Allison Jean -- whom he called an "outstanding citizen of Saint Lucia" -- for years and worked with her when she was a permanent secretary in the Saint Lucia Ministry of Education and in the Ministry of Transportation. "Allison did an incredible job of raising her son," Chastanet said. "We all in Saint Lucia are extremely proud of Botham and what he represented and how he represented Saint Lucia. "I have to say that in Saint Lucia there are two very strong emotions: One clearly of great sadness, sadness that a young man lost his life at such a young age, sadness knowing how close Allison and their family were to Botham. The other emotion is one of anger to think that a young man would be in his apartment and the possibility could be that somebody could come to his door and he ends up being dead." ABC News' Marcus Moore contributed to this report.